It’s a familiar tale; you join a company that proudly trumpets how much it values its people, only to later discover it’s not really listening to them at all. 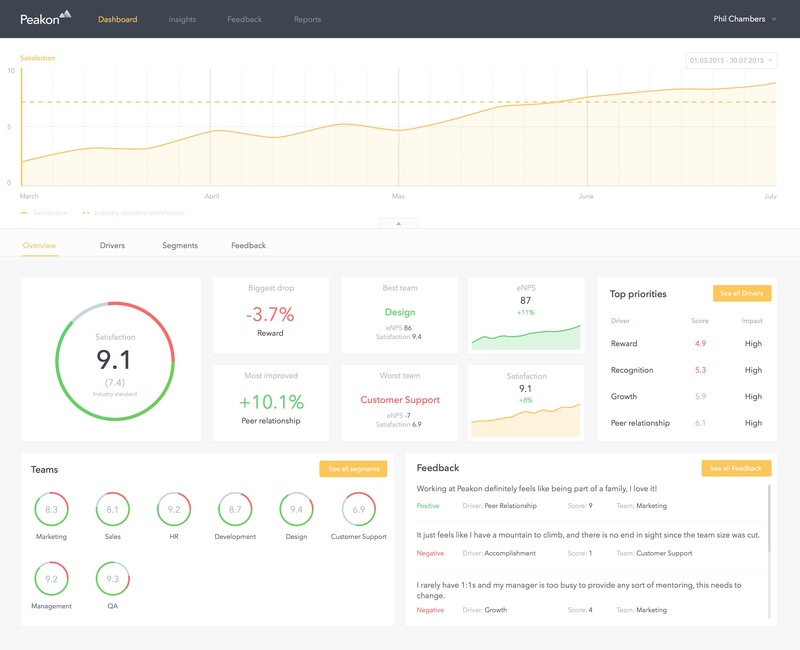 Regular surveys can help bosses know what their employees think about their working environment, but a new startup called Peakon wants to go further and give firms real, actionable insights that they can use to improve company culture and staff retention. The Copenhagen-based firm has just raised $1 million from a group of investors including Tommy Ahlers (Podio, Zyb); Zendesk co-founders Morten Primdahl and Alexander Aghassipour; Doug Monro (Gumtree, Zoopla, Adzuna), and Sunstone Capital. Peakon was co-founded by Phil Chambers and Dan Rogers who met while working at Germany’s Yelp-alike Qype, in 2008. From there, Chambers went to Podio and Roger to Songkick. Now they’ve reunited in Copenhagen alongside Podio co-founder Kasper Hulthin and CTO Christian Holm to tackle a problem many companies have, in the best way they know how. Peakon wants to be a platform for all the companies that can’t hire their own Head of People Analytics. 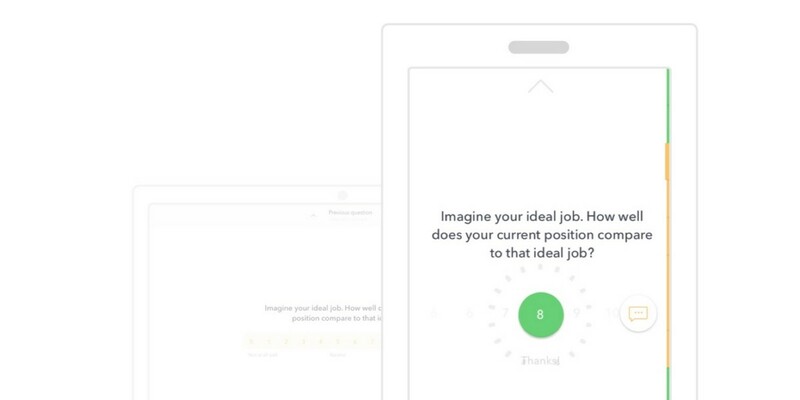 As with other products like TinyPulse and 15Five, Peakon starts by allowing bosses to create employee surveys about what it’s like to work for them. The results are anonymized and fed into an algorithm to identify exactly what needs improving. If you’ve ever been sent employee surveys, you’ll know that they can get repetitive and boring to answer. Peakon tackles that by identifying which questions to ask of which staff members. If someone regularly says they like their office environment, there’s probably not much point asking again. Asking deeper questions of the people who don’t like their office environment is likely to be more effective. Peakon is trying to strike a balance between getting valuable feedback from workers and badgering them so much that they stop putting effort into their responses. When it comes to delivering results, the Peakon team wants its product to get ‘deeper’ than rival services. “This is more of a data product, using the power of data and machine learning,” says Rogers. Peakon is in private beta, with an official launch planned for later in the year. It’s currently aimed at companies of up to 1,000 employees, and plans for the future include integration with coroporate CRM systems.